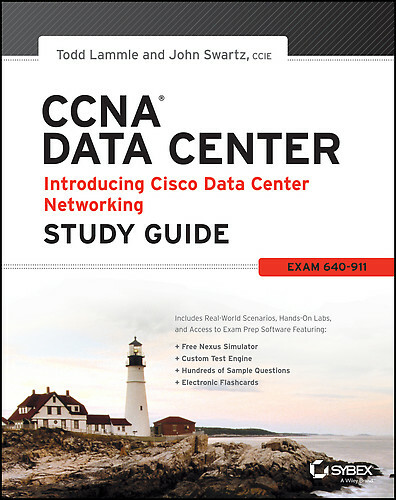 Just like before if you have followed, I have gone over the CCNA Data Center Study Guide from Todd Lammle and in this post we cover two chapters. Feel free to comment below if you have any questions on either of these two chapters. Chapter 10 Overview: Chapter 10 starts us back in the book, before we do any configuring and we learn about routing protocols, and remember the difference between static and dynamic routing (name implies it) Also know the default administrate distances of the different routing protocols (starts on page 297). We also got a crash course in distance vector, link-state and hybrid routing protocols. Out of RIP, RIPv2, EIGRP and OSPF where does each protocol belong? Know the differences between RIP and RIPv2 (there is a couple of them) Know what EIGRP does and it available features it offers as well as OSPF. My thoughts: This chapter went over the dynamic routing protocols and at a fundamental level but in important one to remember not to just pass the exam but to also go further. There was a lot of good information in Chapter 10 about dynamic protocols. If you have never used/learned about dynamic routing protocols make sure you understand the chapter and go over the review questions. My thoughts: We went from Layer 3 in the OSI back to Layer 2, we need to know the difference between VLANs as we start to blur the lines when using Router on a Stick configurations. This chapter covered the basics of VLANs an important step to make sure you understand the fundamentals. Same things goes with this chapter, if you have never used/learned about VLANs, VTP, SVIs make sure to go over the chapter and review questions. Short and sweet, please post any questions if you have any about this chapter, I hope this information is helpful.